Like most launches, the lift-off of an Apollo mission could only occur within well-defined spans of time known as launch windows. Launch could not be attempted outside the launch window because some operational constraint would be exceeded. 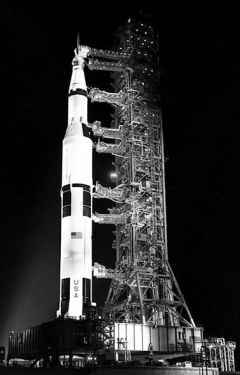 The major constraints on an Apollo launch window were propellant, communications and lunar lighting. NASA sometimes certified landing sites further west, where the lighting would be suitable two or three Earth-days later. In light of the propellant available on board, planners then worked backwards from each landing opportunity to calculate when the launch had to occur. Now the complexities of flight planning really became apparent. To get to the Moon, the engine of the third stage had to be reignited in Earth orbit and continue burning propellant for a few minutes. By knowing where the Moon would be when the spacecraft arrived, orbital mechanics (of which more later) said that this 'burn' would have to occur on the opposite side of Earth. But NASA wanted this important burn to occur while there were good communications with mission control, including the hours directly afterwards in case a quick return to Earth became necessary. This meant that the burn had to occur near Hawaii so that the spacecraft's rise from Earth would be covered by a string of ground stations and communications aircraft across the eastern Pacific Ocean and the United States. As Earth turned, the Hawaii region moved into the correct position for the burn once a day, constraining the launch further. Then, as the S-IVB stage could not store its cryogenic propellants for more than a few hours in space, the number of Earth orbits prior to leaving were restricted, so planners allowed just two 90-minute revolutions to give the crew time to check their spacecraft prior to heading for the Moon. If the time of launch slipped a little, the limited flexibility allowed controllers to delay the burn for the Moon by another orbit. 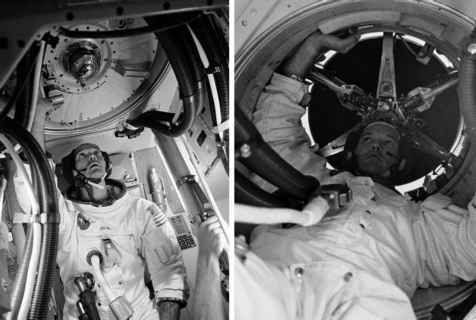 The launch window for Apollo 11 began at 09:32 Eastern Daylight Time on 16 July 1969 and lasted nearly 4% hours, to allow Armstrong and Aldrin to reach their favoured site in Mare Tranquillitatis. There were further opportunities to launch for sites further west 2 days and 5 days later. If those were missed, the same three sites became accessible a month later and indeed for each subsequent month.